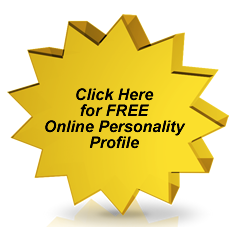 Not a Certified Personality Trainer yet? training you want without the travel. We now have Certified Personality Trainers in 5 countries! Who can benefit from Basic Training? Life Coaches, Counselors, Corporate trainers, HR Directors, Ministers, Salesmen, etc. There is no need to book an airplane ticket, get a hotel room or rent a car to attend this seminar! Over the years, people from all over the world have asked if the Certified Basic Personality Training Seminars could be brought to their country. Travel has become more and more problamatic over the past few years, and international travel even more so. With airfare, hotel, food and car rental, a seminar such as this one, can add up to well over $3,500. With this in mind, we have decided to use modern technology to bring the Certified Basic Personality Seminars to you via the phone lines as a teleconference. 24+ hours of training, over an eight week time frame. Just pick the 8-week session time/date that best fits your schedule. It's as simple as dialing your phone. If you are interested in attending, but these time slots are not going to work for you – please feel free to contact Kathryn@PersonalityPrinciples.com. All sessions will be recorded for future download, so if you are unable to attend all the calls, you will not miss any of the sessions. Here's what you will receive in this Teleconference. A downloadable recording of your classes. Access to the Advanced Personality Training. Save $100 - with the friends & family plan. Sign up a friend or family member to attend the training with you and receive the group discount of $100 - you can share the discount or apply it to your own tuition. Great for coaches, counseling centers, HR departments, church staff,etc. Online registration is available. Payment plans are available. Pay Pal will convert foreign currencies automatically. Copyright © 2015 - Kathryn Robbins - Personality Principles, LLC. All rights reserved.